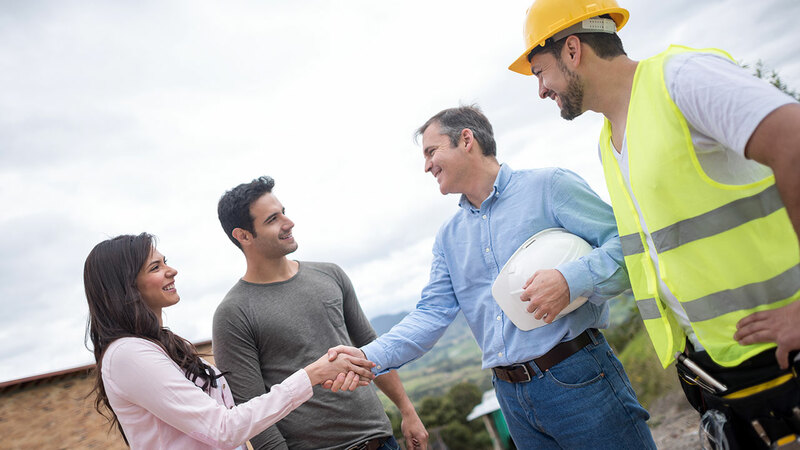 The overwhelming process of hiring a good contractor can be made easier with a little preparation. Knowledge is power and your best chance at a great result. Whether your project is a home renovation or a brand new build, knowing what you want, what you can spend and researching several contractors can help you find the best fit for your next project. Before you begin searching for contractors, make sure you know what you want and how much you are able to spend. The more details you know before hiring a contractor, the better. Are you wanting to find a general contractor who’s local? Are there specific materials you have in mind? Are there unusual circumstances the contractor should know about? Personal recommendations from trusted family members, friends or industry professionals are the best place to start. Internet reviews can also provide solid support material. Would they be working on the project or do they typically employ subcontractors? What experience have they had in the past with similar types of projects? Will their schedule availability coincide with your schedule request? How do they handle delays out of their control, such as those caused by weather? What is their policy on changes once the project has begun? It’s time to gather estimates and you will want more than one. Multiple options will give you a well-rounded outlook on your project. Design, timeline for completion, potential hurdles and total cost are all variables likely to shift from one contractor to another. Several factors will be at play as you trim your decision, and cost will always be a driving force. Do your due diligence and double check that each potential hire is a certified contractor with the proper licensing. Don’t let the cheapest bid win simply because it’s the cheapest. The old adage still rings true: you get what you pay for. Get a contract. If a contractor is reluctant to draw this up with you, you’ve selected the wrong contractor. Review the document carefully and remember that every detail matters: specific tasks, projected start date and end date, materials, insurance and payment plan. After the contract is signed, it’s go time. A final review of plans, colors, and sample materials before they break ground (or wall) can eliminate additional time and expense later. Make certain the space is ready for crew and construction. Remove any valuables from the proximity and allow room for the crew to store supplies should this be necessary. Picking the best contractor for the job can take some much-needed time and research, but whether you are the contractor preparing for an upcoming renovation or a homeowner starting your own remodel, consider stopping by our Mid-City Lumber locations in Columbia, Boonville, Jefferson City or Sedalia, MO. We can get you started with the information, resources and materials you need to get the project done.